Sunset Vacations, a family owned company, traces our roots back to the original owner of the island of Sunset Beach, Mannon C Gore. Currently owned and operated by his grandson, Gregory S Gore. Sunset Vacations has sold real estate and managed vacation rentals longer than any other rental management company on the island of Sunset Beach. The Property Management Division of Sunset Vacations was officially founded in January 1984 after the acquisition of Kanoy Realty, which opened in the early 1960's. Since those early days, Sunset Vacation has seen many successful years of rewards and challenges while presently managing over 250 rental homes on the island. The staff at Sunset Vacations is experienced, professional, and some have over 20 years of dedication. 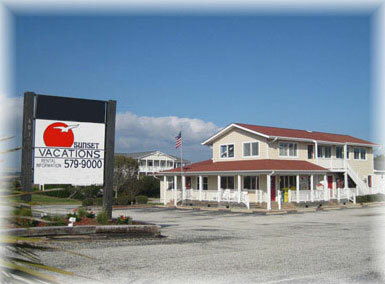 Sunset Vacations is open year round to effectively assist you with planning your vacation or managing your rental home. Let us help you plan your Sunset Vacation today!